Hope you’re all having a great weekend and are enjoying the sunshine. It’s absolutely roasting here in London which means my Tory Burch sandals will be making their debut. This week I received the Look Fantastic August Beauty Box and I was pleasantly surprised by the selection of products. As you know, previous months have included a mismatch of rather bizarre selection choices however I feel that this month they have got it just right. 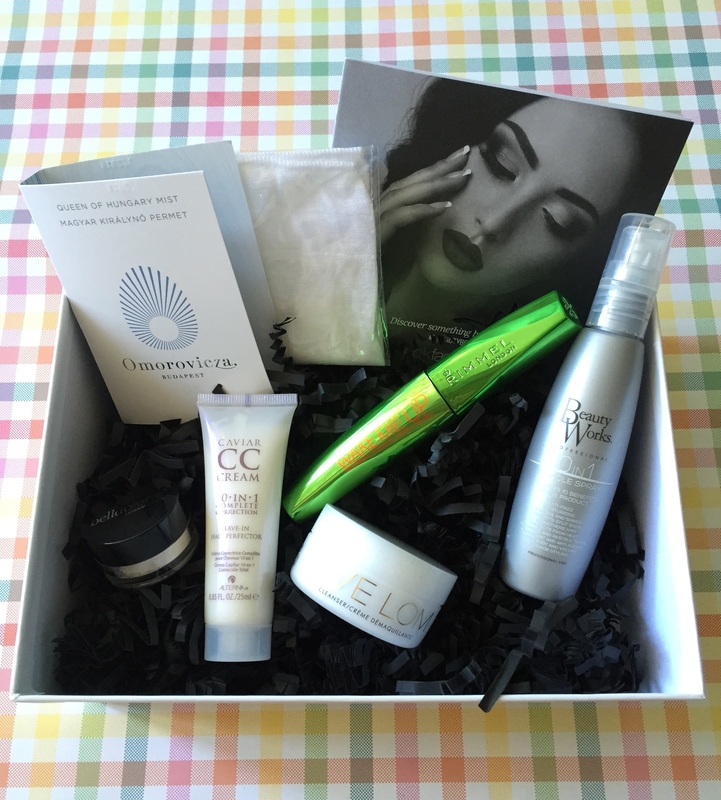 The box contains 6 products incorporating a mixture of hair, beauty and make up items. The contents this month are worth £48.74 which is brilliant considering the box itself costs around £11 (if you’re a subscriber, £15 if not). 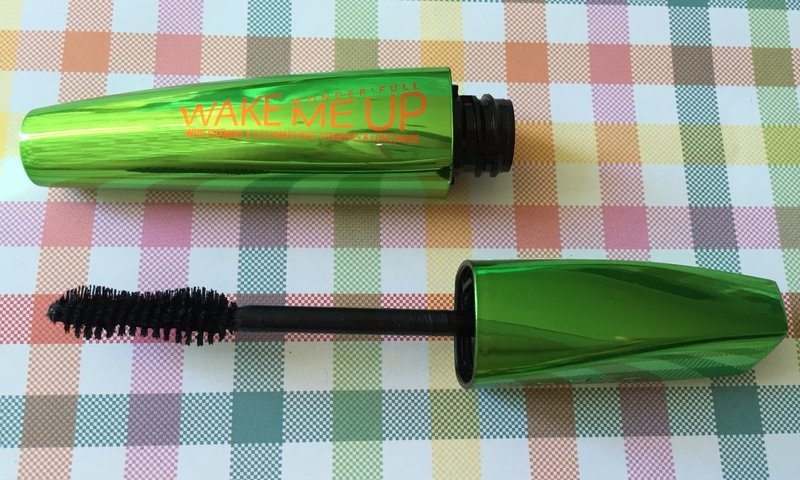 The first item that I was drawn to was the Rimmel Wake Me Up Mascara – £5.99. I’ve tried the Wake Me Up concealer and foundation which I absolutely loved so I had high expectations for this product. It has a unique formula containing vitamins and cucumber extract to condition lashes. The brush has soft, lash hugging fibres which will define lashes leaving them clump free. It all sounds great however the first thing that put me off was the over powering smell of cucumber. I actually didn’t think that you would smell it once applied however I kept getting a wift of it every now and again. Secondly, if you want bold lashes then this isn’t the product for you. It creates a more natural effect but for a “wake me up” finish, it didn’t provide noticable results like the concealer or foundation does. Finally, I actually suffered an allergic reaction to it. Not sure why as I use and have used a lot of Rimmel products and mascaras, however this made my eyes itch and started to get a pretty sore head. Beware! 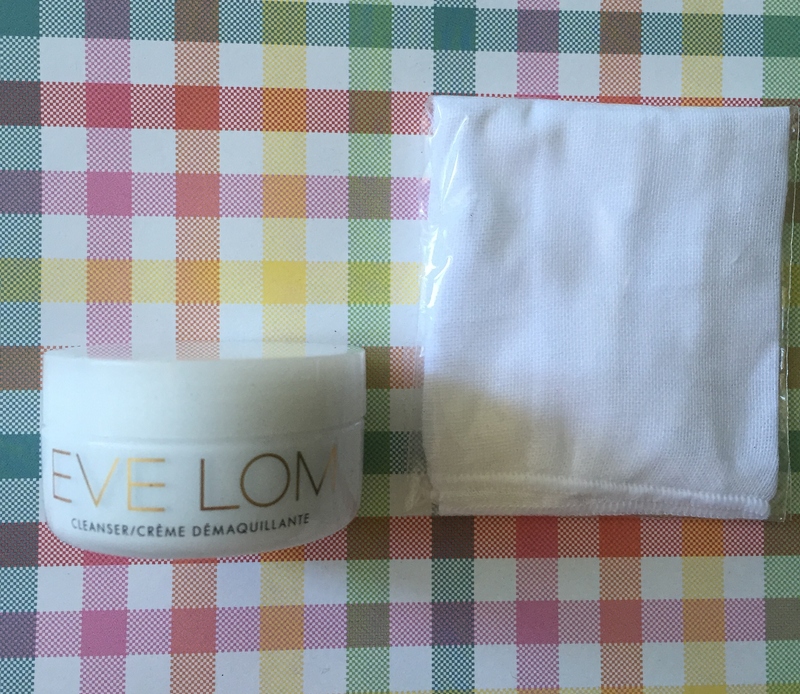 I was very happy to receive the Eve Lom Balm Cleanser sample – (Full size retails at £44 for 200ml). I have tried this product before and it’s certainly a wonder product. Described by Vogue as “possibly the best cleanser in the world”, Eve Lom has now developed a cult following and can be purchased in stores such as Selfridges, Harvey Nichols and Space NK. It contains a blend of four aromatic plant oils which purify and decongest the skin without stripping or drying. It melts away make up and stubborn waterproof mascara with ease. I love the fragrance which I think is a combination of citrus and menthol which is the perfect refresher and pick me up. Used with the muslin cloth you will see the ultimate benefits. 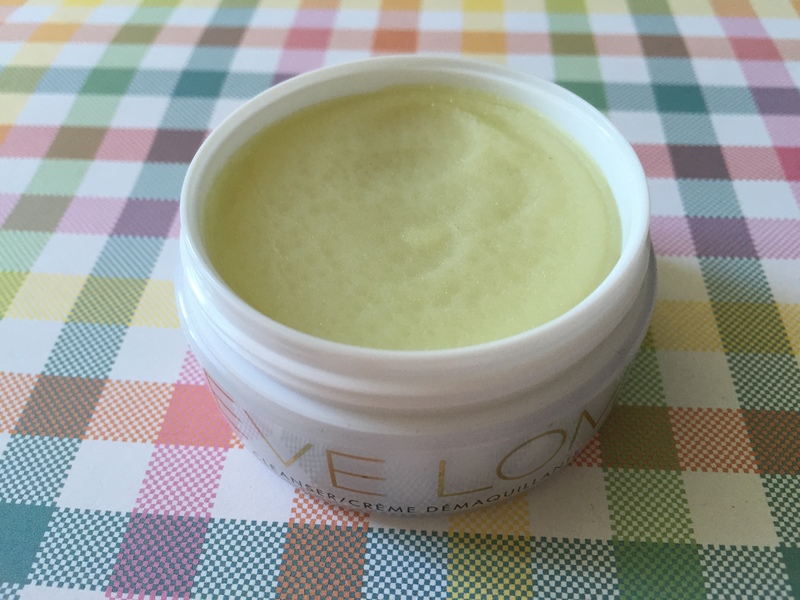 Skin is left feeling and looking radiant, glowing and silky smooth after the first use. Love this product!! 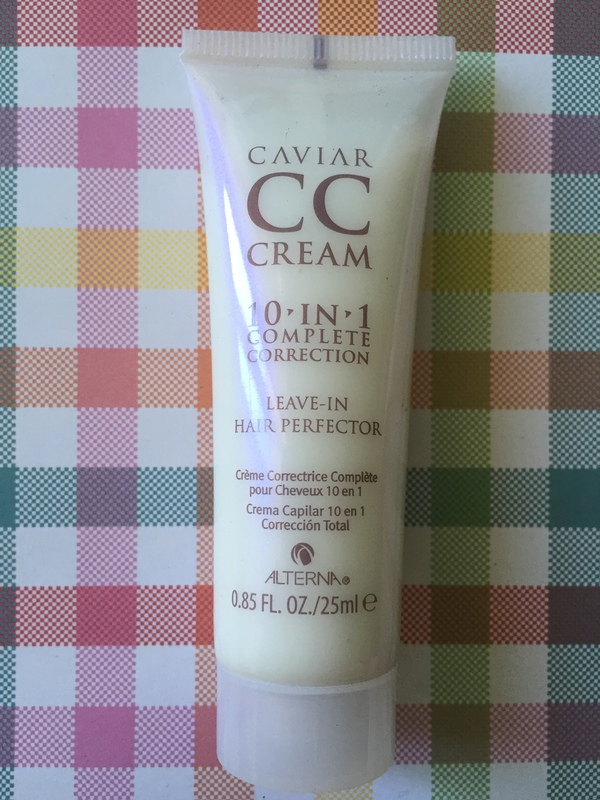 I was rather intrigued by the Alterna Caviar CC Cream (74ml retails at £19.96). Like most, I’ve heard of BB cream but never CC. It is a leave-in hair conditioner which is said to deliver 10 benefits such as moisture, shine, smoothness, UV protection, anti breakage and strengthening properties. It is a light weight formula with a rather pretty non overpowering fragrance. It can be used on towel dried hair or as a finisher on dry hair. It is free from parabens and sulphates, and can be used on coloured hair. My hair felt salon fresh after application and nicely conditioned. 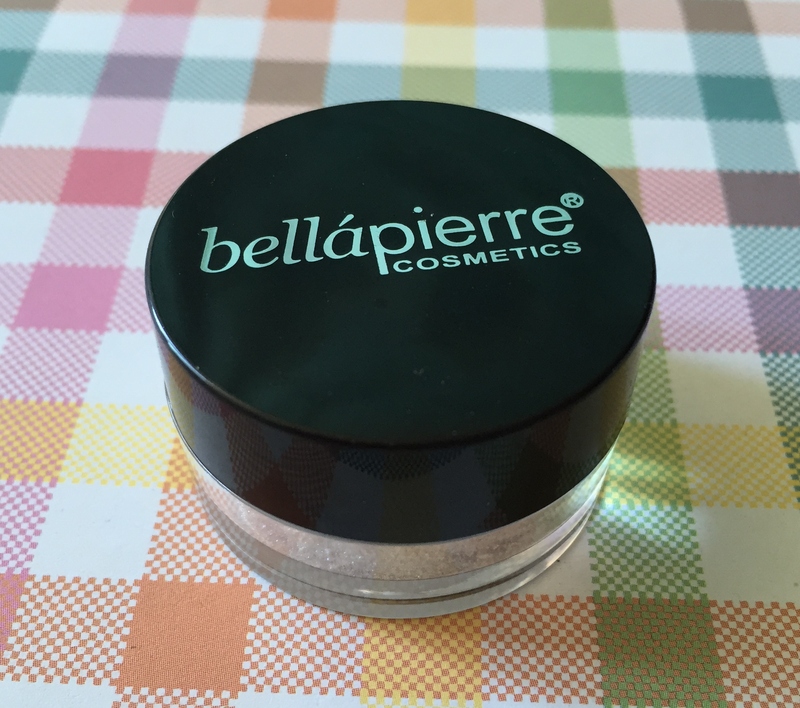 This Bella Pierre Shimmer Eye Shadow – Full size received, £6.50, is a long lasting eye powder which most definitely makes the eyes pop. 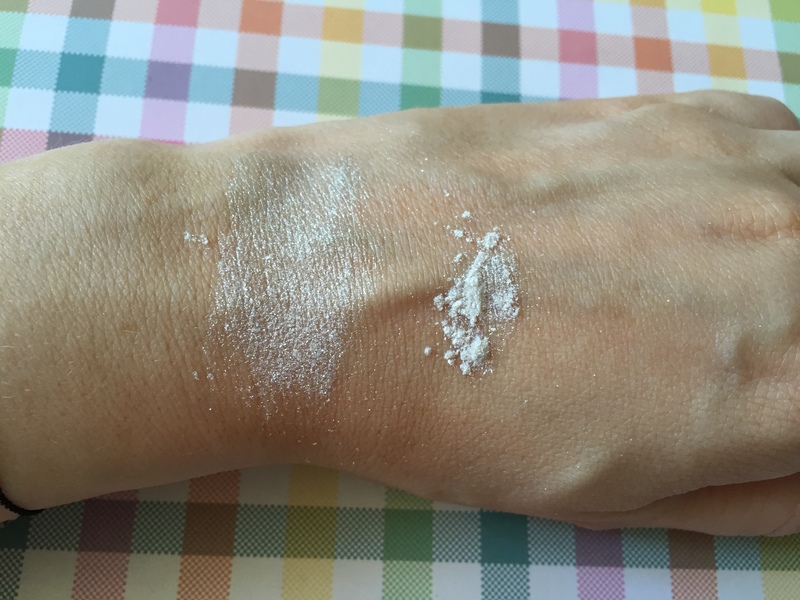 I received the shade Snow Flake which is a shimmery silver and is absolutely adorable. It is highly pigmented and a mineral base which means that it is kind to skin. I think this will be perfect for festive outings later in the year. Additionally, it gives a nice glow to skin so I’d actually use it as a highlighter or to dust over skin to give a shimmery glow. 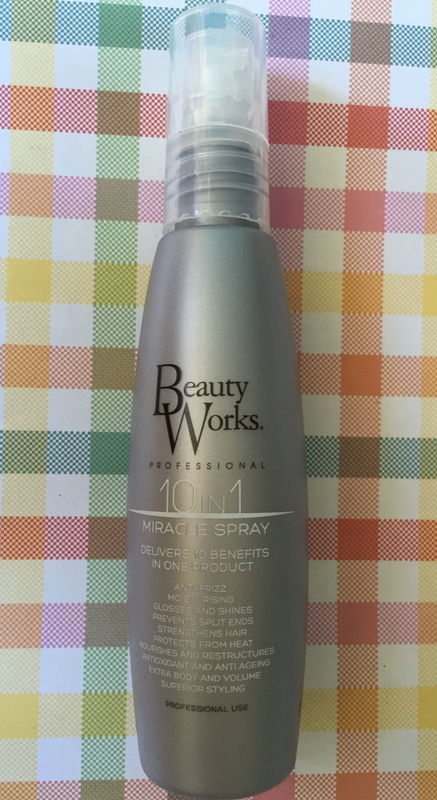 Next up is the Beauty Works 10 in 1 Miracle Spray – £11.99. Similar to the CC cream, this is a multi tasking spray hair treatment which will nourish, repair and protect your hair during heat styling. It is fortified with argan and macadamia which will enhance the hair’s natural oils and deeply condition. It will strengthen and prevent split ends, restores shine, detangles and eliminates frizz. It is ideal for using on hair extensions as I always found mine to go rather course at the ends. This works wonders. On fine hair, I would recommend using a little as too much can weigh down the hair making it look greasy. Finally, there was a tiny sample of the Omorovicza Queen of Hungary Facial Mist (full size £46 for 100ml). I have used the cleansing balm by this brand previously and loved it so was very happy to receive another sample from the brand. This mist is fragrance free and can be applied to bare skin or over make up. It is light weight and refreshing. I have to say that there are cheaper better facial mists out there, eg Lush’s “Breath of Fresh Air” and the Evian Hydrating Mist, which provide better value for money, however it was nice to sample. So there you have it, the Look Fantastic August Beauty Box which contains 5 out of 6 great products. Next month is their 1st birthday and the September box is said to be indulgent and an absolute treat. There will also be various discounts across the website so keep a look out for discount codes popping up as you might get yourself an absolute bargain. Let me know if you received this months box and if you received anything different to me. Also I would love to know your thoughts on the products that I received, and whether you encountered any side effects with the mascara. I like how they have one of each kind in the box. I’ve heard good things about that Belle Pierre product. Look forward to reading what you think of it. Oh my gosh! Instantly when I saw your post I got stoked because I have been eyeing that mascara for days now and was contemplating on maybe giving it a try but thankfully after reading your review I most definitely be sticking to my DiorShow baby. Great review! I for sure will be! These all look like great products! Especially that mascara, it looks like it works wonderfully. Hahaha thanks for the heads up!